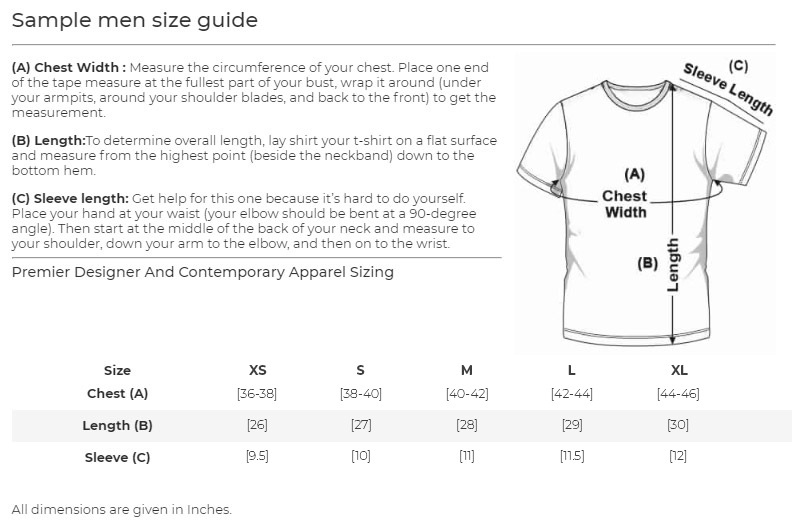 Undershirts can come as a crew neck or a v-neck and there are personal preferences depending on the type. 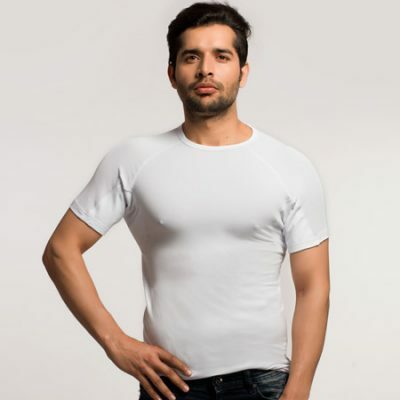 Read along to find out exactly why v-neck undershirts are much more beneficial as compared to any other kind and how it gives the best look with the right depth and width of the undershirt. Many men go for the crew neck undershirt as the standard one. That’s the oldest style in the store for ages and that is the kind that you will see available in most stores. They can offer a nice fit around the neck, resembling a t-shirt. And it is comfortable to wear, that is why men usually prefer this. But the bad side of the crew neck is that it is visible at the neck. You cannot hide it away for your shirt over it. And it can be very noticeable with anything that you wear on top of it. There are a lot of people who would not care for it showing but some might feel down with their crew necks visible. This might make you feel conscious about your overall look. So, why take the chance at all and ruin your look? Get the power back in your hands for your style without having to show it to the rest of the world what’s going inside. Invest the best for your look. Crew necks are the most basic things to choose. Flaunt your style out without choosing the age-old option with a visible undershirt. If you want to stand out then go for a v-neck which gives you a lot of space to test your unique styles. From the sphere of v-necks, there are a ton of options you can choose from. 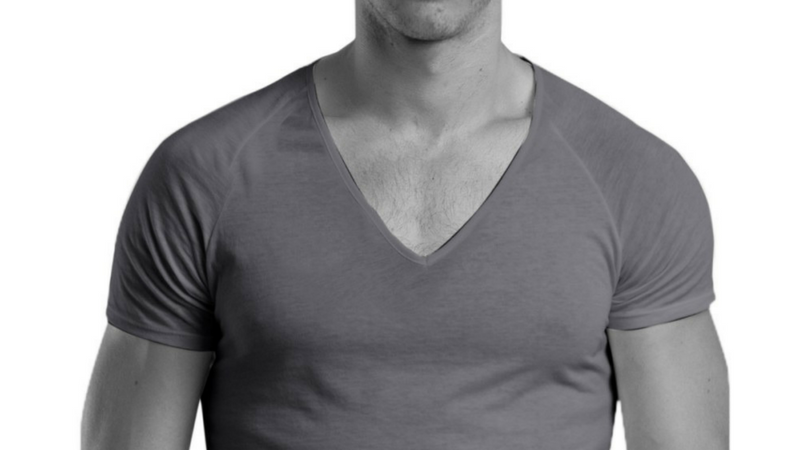 Among the standard short v-neck and longer v-neck, you might want to go for a deeper v-neck and we have the answer why. Usually, the standard v-necks which are available in the market are shorter. The short v-necks focus more on the functioning rather than the style that you are going to flaunt. And this might be super close to crew necks due to their positioning. What is the use of going for a v-neck when it is still visible to everyone, just like a crew neck would be? If you want to unbutton a few buttons, then there it is, completely visible and there is no way out! You might not want to show that at your neck. If you are going for a cool and fresh button-down look and you have a short v-neck undershirt inside, it might be perfectly visible outside. If you want to avoid your undershirt being clearly visible outside, you might want to go for a deeper v-neck. This saves you from all the trouble and makes for a great choice to go with your style perfectly. The deep v-neck undershirts are perfect to give you a great buttoned-down look. In the heat of summer, wearing an undershirt becomes really necessary to keep the sweat at bay. Get your hands on the best anti sweat undershirt from NGwear. With the great quality of v-neck undershirts, be sure to flaunt your style without any worries. 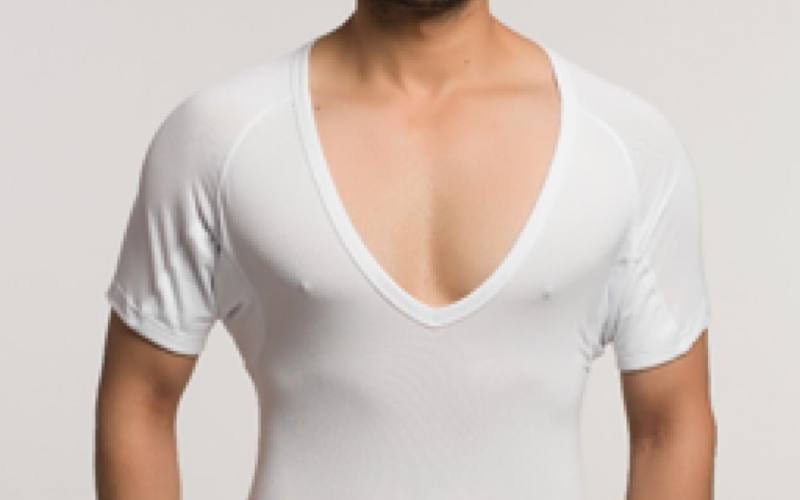 Deep v-neck undershirts are perfect for whatever style you want to flaunt out in the sun. The depth of a deep v-neck is wide and comfortable to wear and it is not visible with the rest of your look. It does not ruin your overall look and ensures that you get to sport out the look that you want. This does not make you look ridiculous with any visible remarks as it is not seen from the outside or on your shoulders. 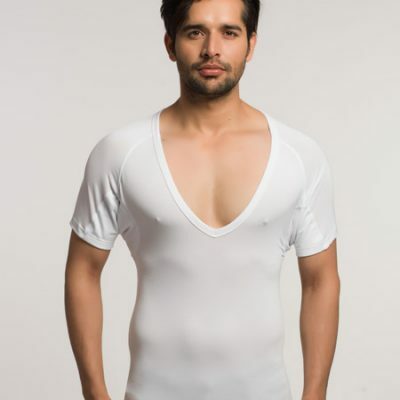 Owing to the perfect width and depth, the deep v-neck undershirts are ideal for you because you do not have to focus or worry about it being visible. Let your style speak for yourself without having to compromise with anything else. Get your hands on the best v-neck sweat proof undershirt from NGwear. Let your worries aside and get the perfect fresh look to flaunt everywhere. Have a look at the benefits of using anti-sweat undershirts.